Outpost @ Cedar Creek Inn Our records show that this inn is closed. Ingleside B&B Our records show that this inn is closed. Mariposa Ranch B&B Our records show that this inn is closed. Heartland Country Inn B&B and Retreat Our records show that this inn is closed. Kriegel's Guest Haus Our records show that this inn is closed. Wrigley House B&B Our records show that this inn is closed. Coyote Trail Our records show that this inn is closed. Knittel Homestead Bed & Breakfast Our records show that this inn is closed. Brenham bed and breakfast travel guide for romantic, historic and adventure b&b's. 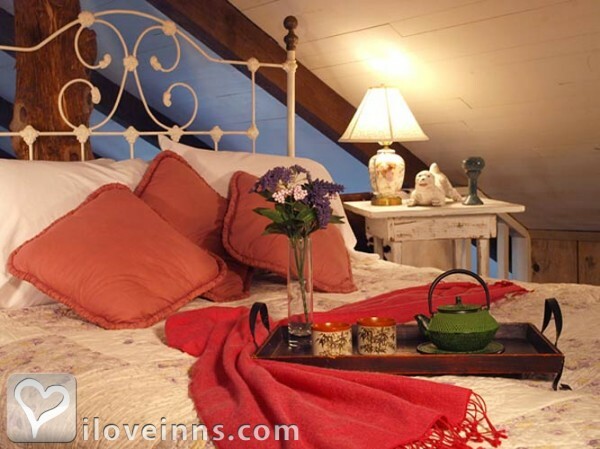 Browse through the iLoveInns.com database of Brenham, Texas bed and breakfasts and country inns to find detailed listings that include room rates, special deals and area activities. You can click on the 'check rates and availability' button to contact the innkeeper. The historical downtown district of Brenham, Texas boasts a courthouse square. Our city is full of architectural details, historical sites, artists, antiques, fine dining and is the hub for outlying excursions including antiquing, shopping, nature tours, cycling adventures, historical re-enactments, holiday parades, festivals & tours, wildflower viewing, winery tours and tastings, incredible vistas, a photographer's dream and so much more. We are located less than an hour and a world away from the stresses of big city life--not to mention all for less than a tank of gas! By Murski Homestead B&B. Brenham is part of the Main Street America program and has retained much of its original, historic character. Its German heritage is evident in the names of the stores and streets and it has become an antique shopper's mecca. Brenham has small-town charm as well as big-city advantages such as excellent city government, professional theatre, museums and varied cuisine.